Start a Blog for Yourself or Business: Top 10 Basics You Should Know! Have a blog for yourself was the first thing I talked about when I started this blog. But it seems that I have never really specifically introduce how to start a blog…so in this article, I want to make it more in details. It is easier than you imagine, but there are still some basic knowledge you have to keep in mind. No matter you are a person or you will write for a business, think of the name and tagline carefully before you start. Because it is hard for you to go back to revise it, and the most important is, the TAGLINE will be indexed by the search engine. The whole social media network is Share, Share and Share. Blog is a way to show yourself, and your product, so if you want to go viral, you need audience who would like to Share your content. “Content is the King”, as I always say. Blog something you are good at and interested in, so that you could at least write something worthy of share. If you love Fashion, love cooking, love traveling, love to watch Movies…go ahead and blog them! An important element to customize your blog. You can also use it with your company’s domain together. Simple and Easy is what I high recommend. You can always put beautiful images that reflect your topic, but the layout should still be clear. There are some blogs show up with awful text colors and crazy background, which won’t attract people to read. 6. Links and Social Media pluggins. Besides those basic SEO skills that I wrote in the last blog article, never ever forget building Links and add Social media pluggins to your blog. They are the keys for your blog to be exposed and shared. 7. Categorize your blog articles. Most blogging software help you track where and how do your clicks come from. You can always found a clear chart on your dashboard to get to know your audience. It is up to the author if they want people to comment on blogs…even though there are so much spam nowadays, it will never be wrong if you keep your comment open to audience, especially when you are blogging for your business…because you need to communicate with your consumers/potential consumers. And be sure to trackback comments, so you will be notified when you audience reply to your message—-this means a great start of a conversation directly with your fans/consumers. 10. Comment on other blogs. Another best way to attract audience and to run your blog better. You can start to comment on others’ blog even before your blog officially launched. Making friends with bloggers, knowing what they have been up to. 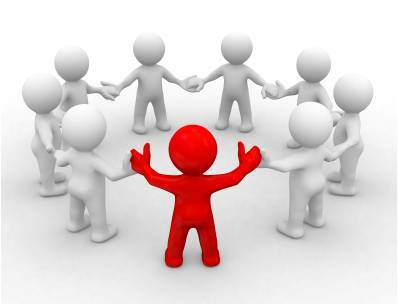 Involve other blogs and bloggers are the best start to participate the online community. It has been a long time since my blog updated last year :S Feel so sorry for it. However, my life has been some big changes, the biggest one is that I am living in New York City now. From Europe to the United States, life keeps getting busy, and I also spend a lot of time doing my other work…Whatever, I am back to this ocean again and continue to contribue my researches on Social Media. Today I want to talk about some basic SEO skilling for blogging. The other day one of my friends asked me if there were some methods for her blog to be found easily meanwhile she doesn’t want to spend too much time on blog promotion. It is true that online promotion always takes a long time, which really upsets people who living in a busy life. So hereby, I would like to give some basic SEO skills for bloggers: You can promote your blog while you are writing it! You have to have an attractive blog title. “Attractive” here means “attractive” to searching engines other than you audience. Before giving a title, please re-think: If I were a person who needs similar information, what kind of sentences or keywords will I search for? It is not hard to discover that on searching engines result pages, blogs with easy, simple, direct titles come up first, for example “Five restaurant you should hang out in Manhattan,” Top Ten website similar as Ebay” etc. Keyword is magic. Use keyword wisely please. Use it in Titles. Tags. Mention them in your articles, but don’t mention it all the time. The best way is keyword should be brought up every 30 words or more. However, it varies too because some people deem that every 150 words or more. It depends on your article. If your articles only has 300 words, then why not mention it more??? Links links links. Links are important for SEO, that is why we say “link-building”. I know for most people, sometimes it is troublesome to find related links (or related articles attached). The easiest way is use suggested links that provided by blog site itself. But you can also give links to big names: Brands, celebrities, popular words, country… Links help your popularity. You must have found that almost in every article, I use bullet and bold words. I don’t really know the reason, but they help with the searching engine rankings! And it can help audience find the information they need faster. We always say that we need to Communicate with our customers when running a business today, since the whole world enters Social Media Era. And everything we do needs to be networked. If you want a success in your business, you need to first make success in your related social media platform. Because now it is the time that customers take actions. All you need to do is to listen to them and communicate with them. 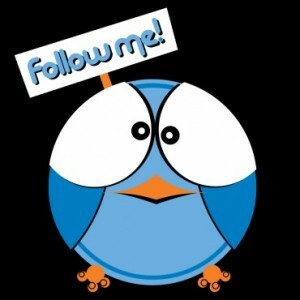 Twitter is the most important and popular platform to talk to your customers and fans directly. But if you have no followers, you have no one to talk to. So I will give you some tips on how to attract more twitter fans based on my own experiences. 1. Start to follow people. It seems easy, but you have to keep in mind that “people” here means those twitter user who might probably be interested in your products. You can not follow people blindly, you need to focus on twitter user who have the same interest as your business do. For example, If you are running a fashion site for online shopping, you have to find people who love fashion while love online shopping. You can find them by searching keywords through twitter’s searching bar. 2. Talk to people who you are following. Read their tweets and reply them friendly. You can give them compliment, answer their questions…you need to make them feel that you are a friend of them online. Care about their daily lives, give them best advice when they need help by “Mentioning” them or “Retweeting” them. Then they will begin to notice you, follow you back, and want to know you. And trust me, twitter users love to follow people who talk to them, if you love communication, lots of people will find you and will start t0 follow you. 3. Unfollow people who don’t follow you back in time. You need to unfollow people who don’t follow you back. Solely spend your times on people who deserve your time. 4. Tweet more High-quality Tweets. Tweet information that are not “nonsense”. You followers would like to know what is going on with your business, what is the hottest trend in your feild, what is the story behind…they don’t want to know how many burgers you eat today and why you hate the girl who lives next door! 5. Follow your related industries and retweet useful information from them. If you are a movie studio, you can retweet tweets from movie companies on new movie previews; if you are a restaurant manager, you can reweet tweets from healthy tips on “green recipe” etc. Make your twitter as a information source. Recently I’ve been busy doing social media marketing for an online fashion community. Thus, for two months I haven’t updated anything here. However, with two months’ new online marketing experiences, I have more to write about. Today I would like to share some tips on blog promotion with you. I always believe that “Content is the King“, but I also want to say that If you want more traffic, you need to expose more about your blog. You have to make much noise to attract traffic. First, make sure where do your traffic come from. You can find something about your audience from the statistic part on your dashboard. You can see the area where most visitors come from, their traffic source etc. Second, try to write some content to match the “Hot keyword” from the region where your audience from. For example, if you are writing fashion blog, when your audience are more from uk, you can focus on some UK fashion icons’ styles. If you are writing about entertainment, when you audience are more from India, you can sure focus on Bollywood, or india celebrities in Hollywood etc. I know this sounds subservient ? but it does help you earm more traffic from different areas of the world. Third, Communication with other blogers! I have to say that this is the fastest way to earn your traffic. After your new blog article is published, go out to the world blogosphere to see what other bloggers write about. Leave messages to blogs which have the same topic as you. Fashion to fashion, food to food, social media to social media…which gonna make more sense. The messages you leave should be high-quality, and then be sure to make your link to your blog in the end of your message, which can lead bloggers back to your own blog. Fourth, try to use different social media sites to expose your blog address. Submit your link to release share sites like Digg, share your new articles with fans on twitter and friends on facebook. Try to find some related online communities, make an account, and only share part of ideas and pictures from your blogs. Like Tumblr, you can always insert your blog link. Last, try to use an attractive title for your blog articles. Want your blog to be searched through Search engine? Try to think if you are the guy who is searching for information, what keywords you will type in the seaching bar? Try to use more words like “How to…” “What to…” “Top 10 must…” “You should…”, which gonna definitely help your blog rank higher on the result page. I know this is annoying, when you open your facebook page, the whole page is about check-ins from your friends. 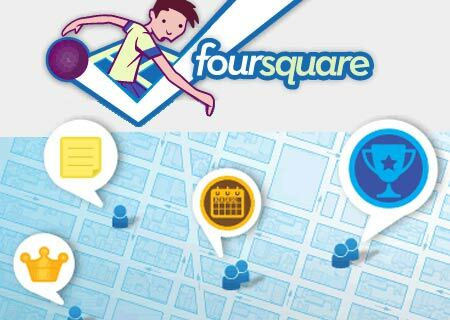 “Foursqure” is becoming a more and more popular app. To some extent, check-in information is positive for local business. On one hand, Restaurants and bars could read people’s tips and improve their qualities, on the other hand, the”check-in” is completing the addresses, it helps local facilities are more easy to be found. Don’t connect your foursquare or other location check-in accounts with facebook or twitter. As we all know that facebook and twitter have already become the first platforms for people to obtain news. Thus, it will be very annoying if all your personal activities are shown on facebook and twitter, except your best friends, no one would really like to know this. Don’t check –in every single time, just check-in in some really interesting places. Every one wants to be cool if they check in cool places, but not every time you need to tell people, especially when you check in at 7pm every day to announce the whole world that you have arrived at your sweet home. Recently I was helping my boss of the restaurant for his online business. He asked me to apply for a facebook account for the restaurant and begin to run it. Though his restaurant is full of customers every day, I am still happy to offer some help. Social media is getting into every little part of lives, and there is no reason if we ignore the part on food. 1. Give discount or bonus card to your fans. I know this is not easy for a small budget restaurant, but no one in this world dont like free gifts. In order to attract more customers on facebook while encourage them to consume, a printable voucher image could be uploaded to facebook page, and let your fans print it and come for a dinner. Remember, Only for fans ! 2. Give other information than something solely about restaurant itself. For example, give valuable information on food itself. “What kind of food could help you lose weight?” “What kind of fruit is good for breakfast?” etc. Specific information on specific restaurant is nice to post too. 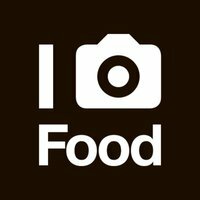 You can share article as how to make sushi for Japanese restaurant, share information about the history of Chinese dumplings for Chinese restaurant. They should be intereting enough to read. 3. Stories behind the scene. I remember when I was in China, McDonald once had an activity is to visit their kitchen. They opened their kitchen at specific time per week to welcome customers. An open kitchen proves a clean enviroment, no matter for junk food or healthy food. Thus, it will attract customers’ attention if there are some pictures about the kitchen, about how the kitchen cooks a specific dish, how the chef shopped the fish etc. PR is short for public relations. Briefly speaking, public relation is an action of pomotion. PR agencies help companies build their favorable public images. When social media hasn’t become a part of our lives, PR is more likely focus on traditional media. But now, things changes. PR is is closely connected with social media, tradtional media is no longer the main platform for building public images. 1. Social Media helps you to find out where is your main audience. Though facebook and twitter are the most popular social network sites, there are still some different sites with different group of audience, which depends on countries, ages etc. The most simple way is trysocial media metrics tools to test where lies the biggest audience. A good research needs to be done, and the social media’s landscape in specific region needs to be considered. For example, twitter is not the main social media network sites in Chinese speaking countries: including China, Taiwa, Hongkong, since they are more interested in using Sina Weibo. Thus, when thining of promotions in these areas, Sina Weibo should be a platform to be concerned. 2. Social Media helps PR agency talk with customers directly, which could lead PR agency to change their marketing plan on time after listening to customers. 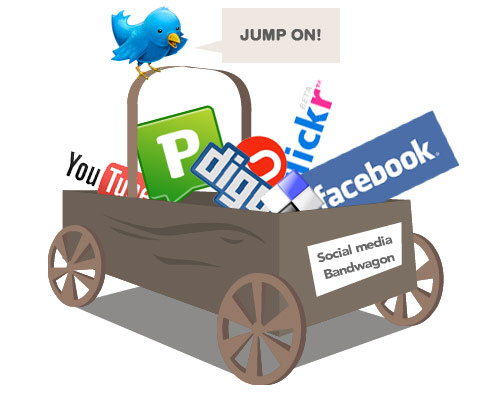 Social media is a channel for communications, not a marketing tactic. No matter how many fans you have , no matter the number is one million or one billion, you cannot ignore them. Social media helps you listen to them and let them take the actions. If PR agency communicate with customers more often, they will know more about what this market demand, and a better promotion plan will be built. 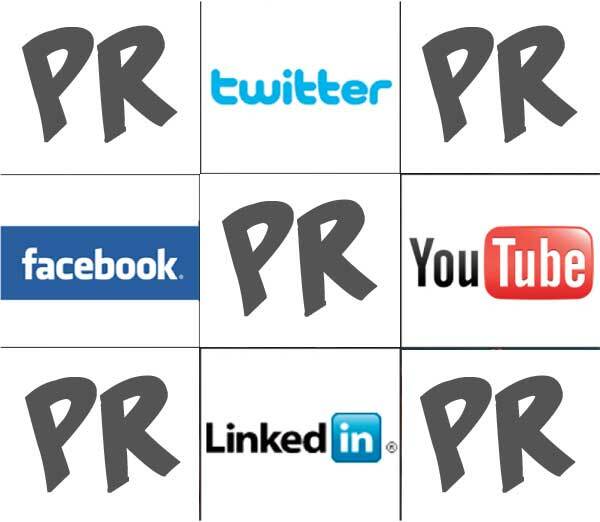 In a nutshell, social media could boast the efforts for PR agency. PR agency should start to research on how to make good use of it. Weibo is the chinese name for “Micro blog”, which was born two years ago, but now has already reached millions of users. Because of the strict censorship in China, the birth of weibo is the same as the birth of “Xiaonei”, “kaixin”, which fills the vacancy of international social network sites like “facebook ” “twitter” in China. However, with the development of Weibo, Chinese internet has indeed brought lots of changes to Chinese social media landscape so far. Social network is a highly free sharing network, which has never been real built in China. Chinese government keeps eyes on all tweets that Chinese tweeted in Chinese weibo. It has happened many times that “sensitive” tweets were deleted by the Sina weibo authority. Compare with the press freedom of Twitter, Weibo’s topic limitations are ridiculous, nevertheless, Chinese netizens are deeply impacted by the development of social media. 1. Chinese realizes that social media could be a first platform for them to receive news. Everyone can be a reporter through social media and the existence of traditional media in China (which is highly censored by Chinese authorities) is not highly trustful anymore. 2. “Sharism” is an important concept to be realized. “Sharism” is connected closely with the work “collective intelligence”, there are people from different careers in Weibo, politicians and celebrities might lead normal netizens to some different worldviews. Weibo is becoming the most popular site for chinese netizens to share knowledge, especially on current society news. With only 140 characters limit, Chinese people are so happy to discover a land that could spread the word. After the happening of Chinese train accident in the spring of 2011, Weibo even begins to own the “political” features: lots of Chinese netizens start to believe that the more they share, the better society will be. 3. Social Media could help business. Social media online campaign is still quite new for Chinese people. And in fact the online campaign has really set up yet, but it is still easy to see that a lot of companies are beginning to use weibo to communicate with their audience. A lot of business people are beginning to use weibo to do advertisement for their productions. Chinese market is becoming more and more active and colorful. When I first came to Netherlands, every time my Chinese friends ask me what is my major, it is always tough for me to explain what is New Media. Once I mention the name of social media, they will wonder that why social media needs to be studied. But now, there are more and more people begin to do take part in the research of social media, a lot of companies in China begin to have social media department for their online marketings. Although social media in China is still under an un-freedom environment, with the development of social media and the increasing realization of people, I hope the “free” day will come soon. Social Media is impacting every industry including Fashion. Social media sites are becoming an important platform for fashion brands to not only communicate with customers, but also promote business directly. Facebook and Twitter are the most popular social plugins that can be found through fashion industry websites, and they have even become the first place to show their new trend . Thus, how to make use of facebook and twitter is essential for fashion labels to make social media plan at first. 1. Set up an official account for your fashion lable in both Facebook and Twitter. As the most popular social network sites, they can attract most customers amongst all. Fluently statue update is a must. Daily statues must include all information that your potential customers might interested in. For example: the start of sale, new pieces for new season, special offer etc. 2.Put “Like” button in a proper place. “Like” button is a connection to your network. Your friends can see what you like and then this “like” will possibly spread amongst your friends, and your friends’ friends. For fashion companies it is good if “like” appears in the homepage of wesbite, however, I deem that it is better if it could be shown up below specific pieces. Therefore, it is more likely to promote productions. 3. Online competition and “Tag”. If an online competition is successful enough, it will double the number of fans. The most vital element for a successful online competition relies on bonus and creativity, one thing bare in mind is that trying to involve as many fans as you can. Topic like “what am i wearing today” is always interesting for fashion lovers. Let your fans wear your pieces, upload pictures, and then tag them. Give some bonus or vouchers for the fan who receive most votes from others. Besides these three basic actions, Mutual Communication should not be forgotten. When you have no idea what to update, just communicate with your fans online. Read their replies and trying to respond, especially when they ask you something, please give an answer. Asking some questions online is also a good choice, it will encourage your followers and fans take part in. For social media plans these are the most basic ways. Different companies must have different marketing plans depending on different customers and goals. Social media is the best place for you to know your audience. It is always easier said than done, so before making an online marketing plan, you still have to do much research. Although online social network sites exist virtually, the relationship amongst people in this social network are not virtual, since we all use real names to communicate and share through social media platform. There is always a debate on the social media relationship, some people are wondering if it is true that relationship through social media network could help people to increase their real relationship. According to some relevant research, most people think in fact the social media relationship is just a bubble thing. However, there is indeed something people are concern about when using social media. Especially after we begin to be friends with people we dont really know but need to be tied with. If you are friends with business partners or your boss, you will begin to care about your personal life, making sure that only proper pictures be uploaded and tagged. No matter how tough a day you have spent in the office, blaming it though facebook and twitter needs to be considered again and again. It is also claimed that social media is becoming a testing tool for employers to check on their applicants. They can easily discover how their applicants really are through their personal profile, online statues and friends. This is also a problem that GOOGLE+ tries to figure out, so they have the circle function to help netizens protect their personal informations. Social media relationship is different than that in reality. Communication in reality is always face to face, or through telephones in which way you can always hear each other’s voice. But on social media it is all about information deliveries. To some extend, a birthday wish on friend’s wall could really make them feel good, however, some research shows that the number of real close friends through social media is no more than 5. Besides, social media is changing the relationship. You cannot help campare yourselves with others since every time you log in social media sites, since all information are about your friends. Of course there will come some pressure, no matter for job compare or life compare, especially while you are in a hard situation. At the same time, if you are critical or rude on social media, which might damage your brand and how people view you. This Blog is Protected !